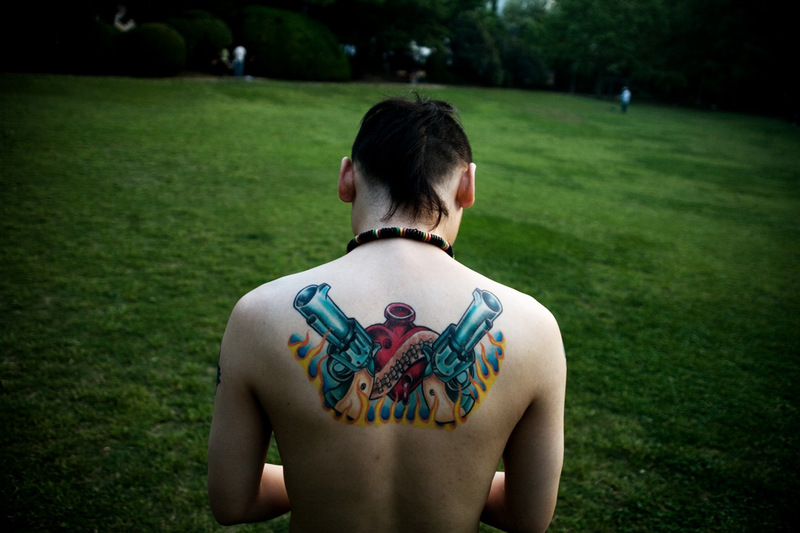 Duwei, drummer for the Nanjing-based punk band Overdose, rests in a park with friends before a gig at the small YuYinTang rock club in Shanghai, China. 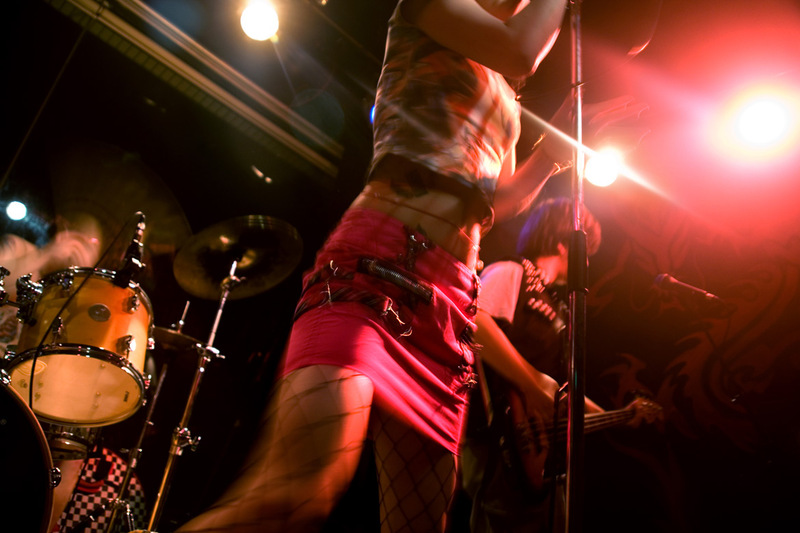 The Nanjing-based punk band Overdose performs in the small YuYinTang rock club in Shanghai, China. 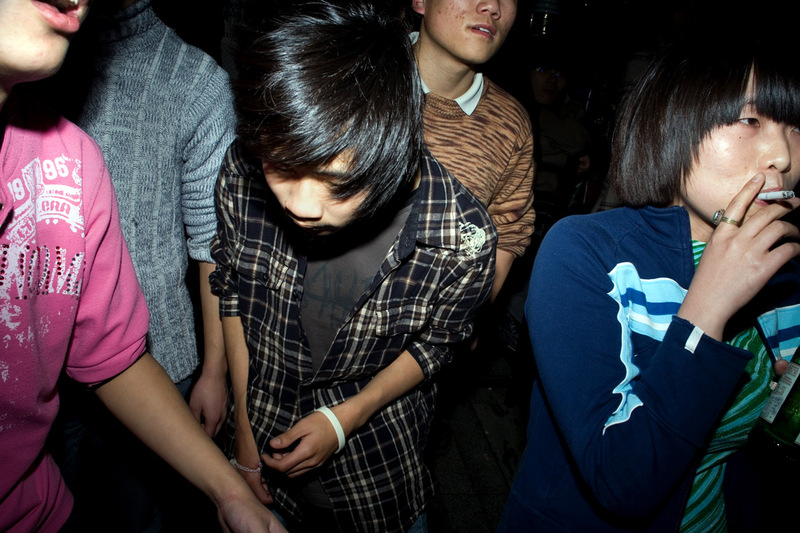 Young Chinese people dance to punk music at a concert at Castle Bar in Nanjing, China. 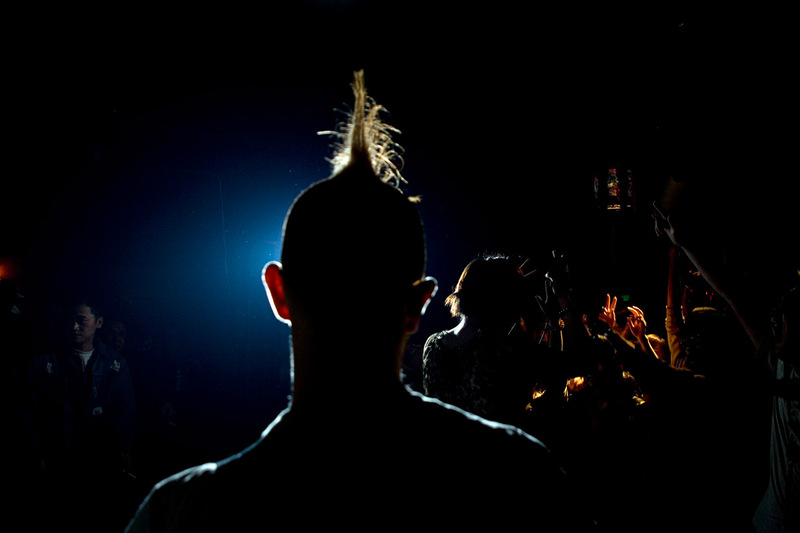 Xiao Na, bassist for the Chinese psychobilly band Angry Jerks, rests before the band's set begins at a concert at Castle Bar in Nanjing, China. Gao Feng, of the Angry Jerks, tattoos a client in his shop in Nanjing, Jiangsu, China. 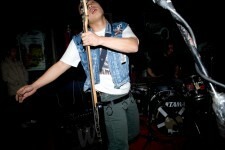 Overdose plays a concert at Castle Bar on drummer Duwei's birthday in Nanjing, Jiangsu, China. 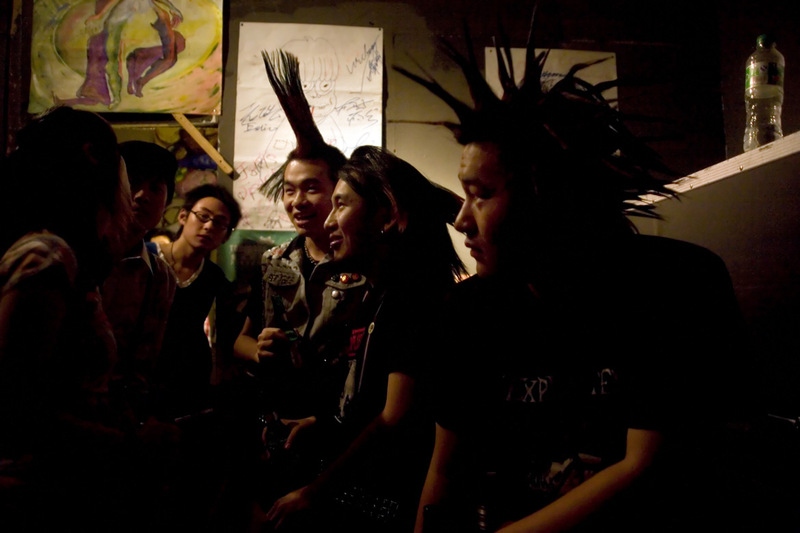 Overdose moved to Beijing in late 2008 to pursue their musical career. 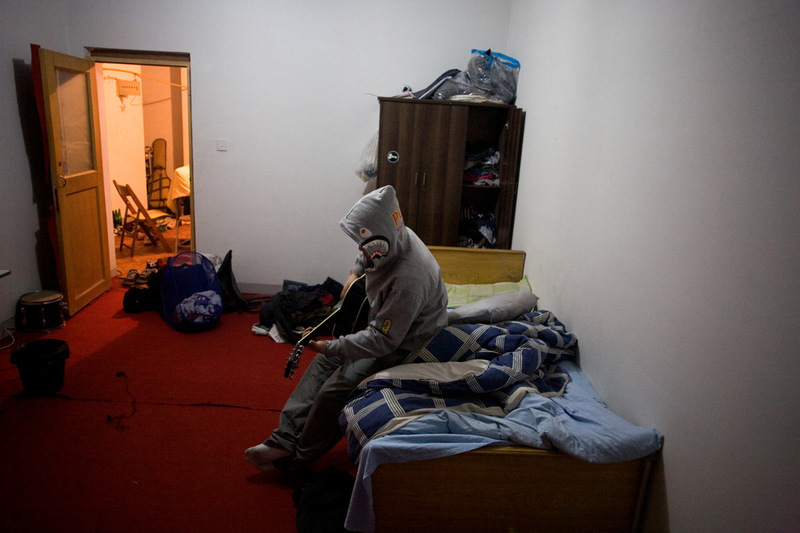 Jobby, guitarist and drummer for the Chinese punk band Overdose, practices guitar in a bedroom in an apartment in the northern outskirts of Nanjing, China. The Chinese psychobilly band the Angry Jerks perform during a concert at Castle Bar in Nanjing, China. Punk rock musicians among the apartment buildings in the northern outskirts of Nanjing, China, after a late-night practice session. Drumsticks count up to four and the wall of noise starts. 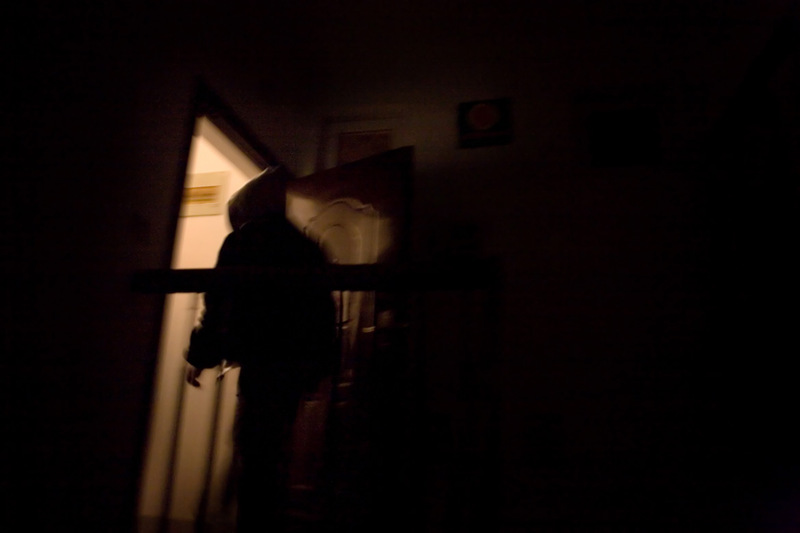 Deep in an endless sea of concrete apartment buildings, a garage band’s screaming at the top of its lungs. 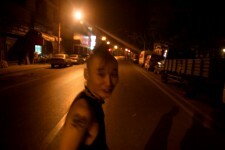 You’ve heard the music before, it’s raw, unpolished, punk rock, but this time, it’s in China. 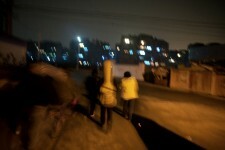 There’s a burgeoning scene in China, and Beijing’s where it’s at. 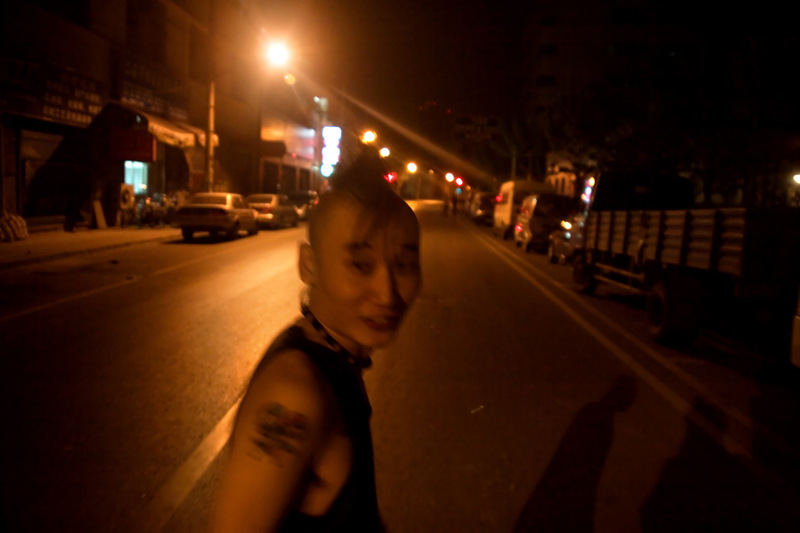 But elsewhere in the country, in Wuhan or Chengdu or Dali or here in Nanjing, for instance, the sound has made its way past the government censors and the morals and traditions of older generations to take root among a small subculture of young men and women. 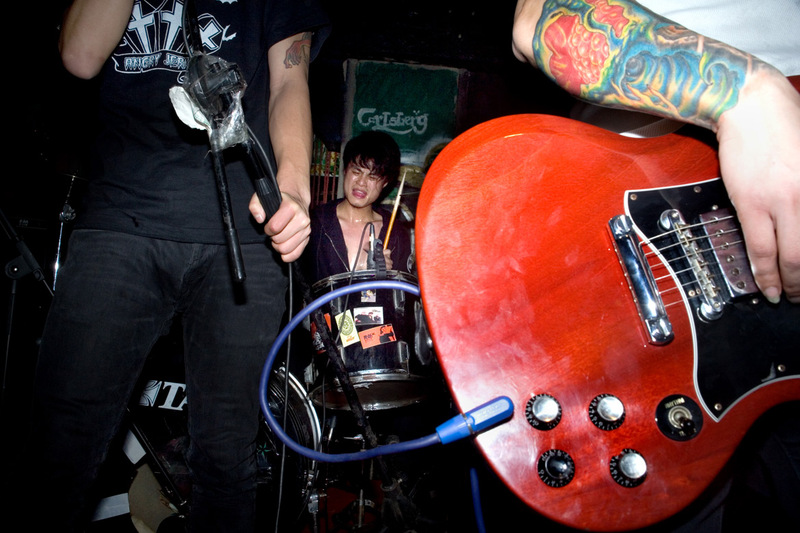 The bands hail from all over the country and travel from venue to venue with little money. Some of their cd’s can’t be sold in shops due to government censorship, so they’re stuck hoping for a large enough crowd to pay for the train or bus to the next city. Bands like Wuhan’s SMZB or Beijing’s Gums Bleeding are vocally anti-government, angry at the way that the Chinese people are being treated by bureaucracy and corruption. The music gets passed around from friend to friend, city to city, and the ideas get out. Although the music is often political, this doesn’t mean that the bands and audiences aren’t having fun. Every concert is a party, every new song an excuse to turn the volume up a little more. The beer flows like water, and sometimes marijuana and hashish come out. 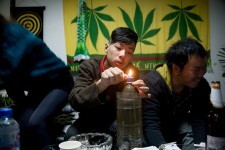 The drug’s illegal in China, just as it is in most of the world, but it’s available if you know the right people. Smoke fills the room, guitars get plugged in, and it’s time for a new set.